Always use genuine RIDGID® Cutter Wheels. These wheels are precision-machined from high-grade steel and are engineered for long life and maximum cutting accuracy. Always use genuine RIDGID cutter wheels. These wheels are precision-machined from high-grade steel and are engineered for long life and maximum cutting accuracy. Always use genuine RIDGID® Cutting Wheels. These wheels are precision-machined from high-grade steel and are engineered for long life and maximum cutting accuracy. Always use RIDGID® Cutting Wheels. These wheels are precision-machined from high-grade steel and are engineered for long life and maximum cutting accuracy. RIDGID Model E-229 to fit the 3S/4S/44S 466/472 cutters and 1224 Threader. Steel & Ductile Iron Cutter. WheelAlways use genuine RIDGID® Cutter Wheels. These wheels are precision-machined from high-grade steel and are engineered for long life and maximum cutting accuracy. Always use RIDGID® genuine Cutter Wheels. These wheels are precision-machined from high-grade steel and are engineered for long life and maximum cutting accuracy. 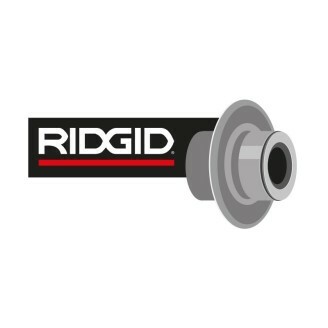 Always use genuine RIDGID® Cutter Wheel. These wheels are precision-machined from high-grade steel and are engineered for long life and maximum cutting accuracy. Always use genuine RIDGID® Cutter Wheels. These wheels are precision-machined from high-grade and are engineered for long life and maximum cutting accuracy.